LAS VEGAS -- James Harden and the Houston Rockets agreed to a four-year, $228 million contract extension Saturday -- the largest contract in NBA history. The extension will run through the 2022-23 season. But with Harden under contract on his existing deal for another two seasons, it will not affect Houston's aggressive pursuit of free agents this summer as the Rockets try to make a run at the Golden State Warriors. 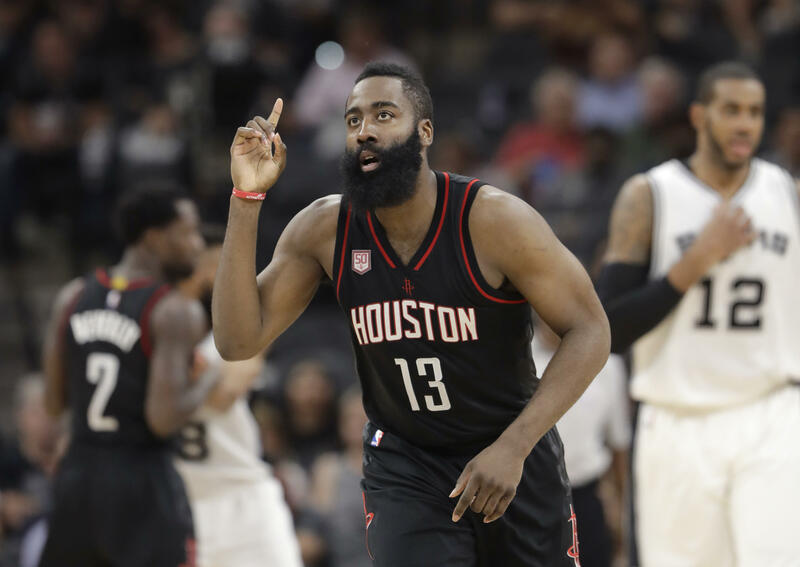 "Since he arrived in Houston, James has exhibited the incredible work ethic, desire to win, and passion to be the best that has made him one of the most unique and talented superstars in the history of the game," Rockets owner Leslie Alexander said in a statement issued by the team. "Additionally, the commitment he has shown to our organization, the city of Houston, and Rockets fans all over the world makes him a perfect leader in our pursuit of another championship," Alexander said. Stephen Curry recently received what had been considered the biggest contract in NBA history for five years, $201 million -- but this Harden extension would surpass his deal by roughly $30 million over the span of one more year, according to CBS Sports. ESPN reports that the Rockers are turning their "full attention" to completing a trade with the New York Knicks to bring All-Star forward Carmelo Anthony to Houston. The mechanics for this extension are new to the NBA in the latest version of the collective bargaining agreement. Harden was named first team All-NBA, making him eligible for a lucrative, four-year "supermax" extension that gives him long-term security and also sends a message to the rest of the league that the Rockets are committed to stability as they try to challenge the Warriors in the West.